Elevate your retention with the Redline Pro Gear SAARP kydex holster for M4/M16 patterned rifles! Made entirely in the United States, Redline Pro Gear produces custom holsters and magazine pouches for Law Enforcement, modern sportsmen, and any who chose to arm themselves in day to day life. Using high quality 0.080" Kydex and rivets, the Redline SAARP gives you ultimate retention of your rifle without the use of slings or other mounting systems. Easily attachable to various gear with Malice clips, simply weave the clips into any MOLLE compatible surface and you're ready to go! 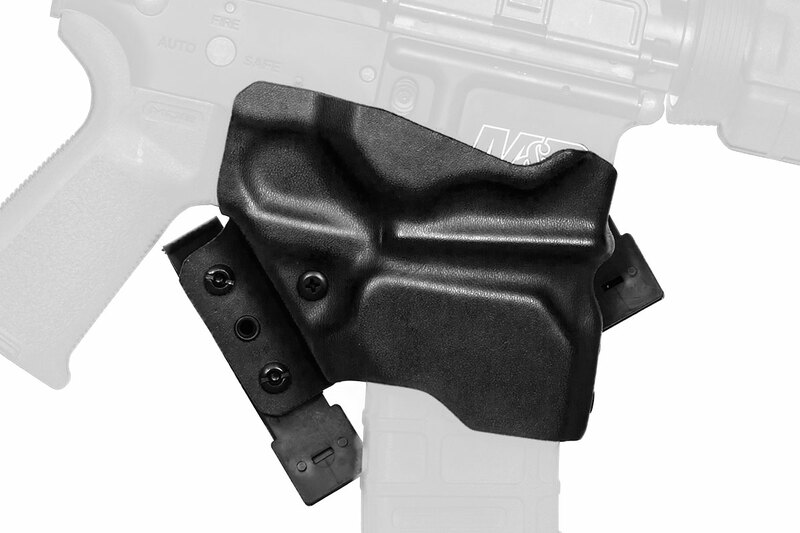 That means that the Plate carriers, chest rigs, battle belts and other gear items you already own are able to become holsters for your rifle with no other modifications, making this piece of gear valuable well past its cost. 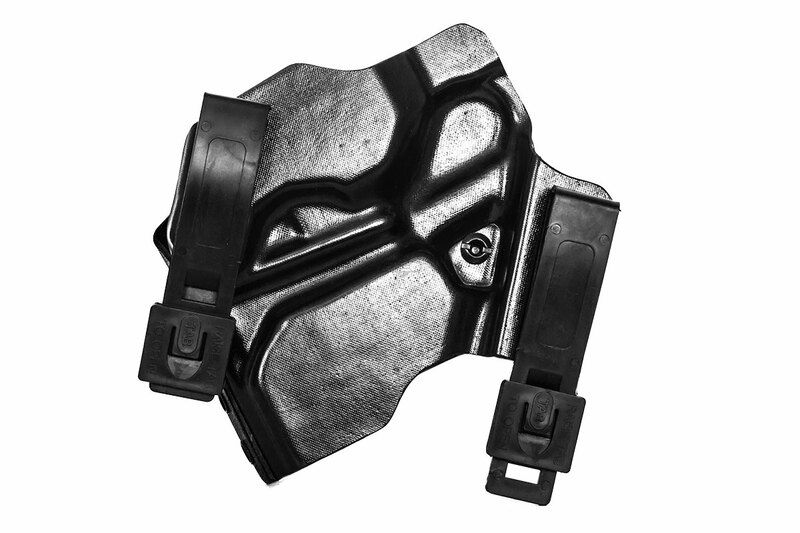 This holster offers a Level I retention, meaning that the rifle is held in using friction alone. This Level I retention allows for stability in the holster and very quick removal without the interference of switches, buttons, or straps.